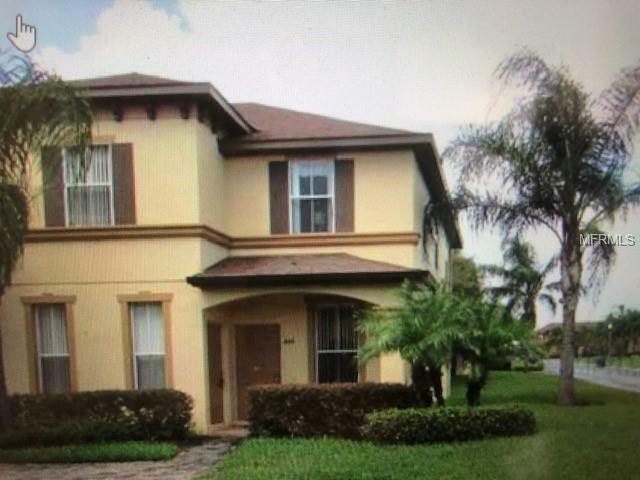 Great chance to own the most sought after floor plan at Regal Palms. This beautiful townhouse boasts 4 bedrooms. 3.5 bathrooms and 1856 sq ft. It is being sold fully furnished. This home has as much space as a 4 bedroom single family home. It features two master bedrooms with private baths. One upstairs and one downstairs. This home is not only an end unit but also a corner unit..This home is located within an easy walk to the Clubhouse and recreational area.